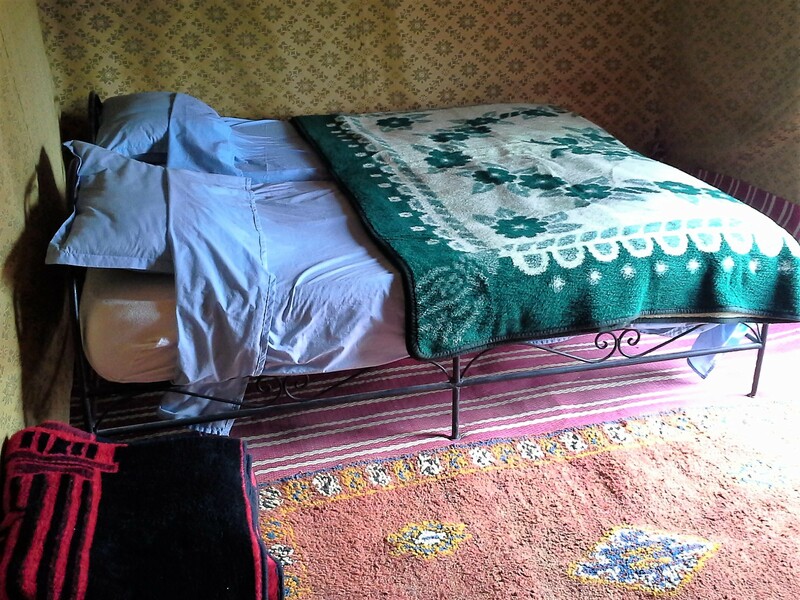 The stay in full board on the basis of a double room in bivouac. 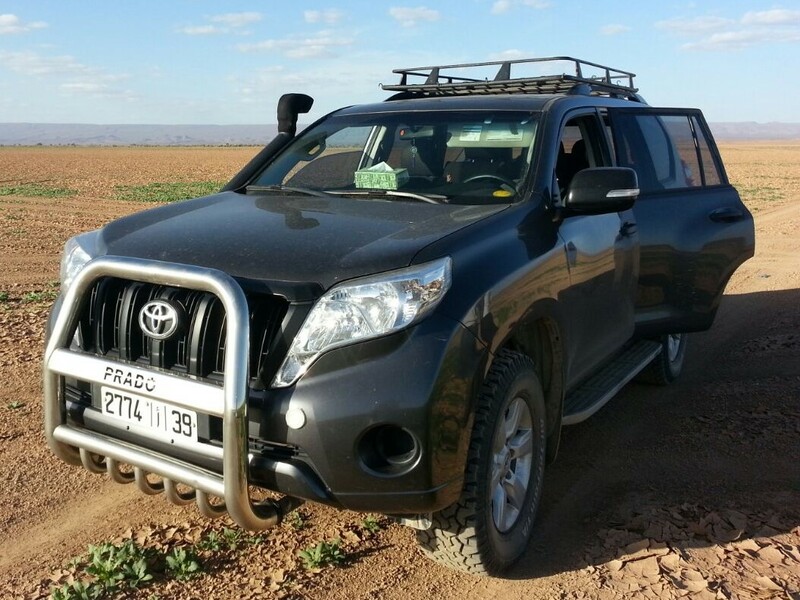 Meeting in the morning at your hotel / Riad and departure to Ouarzazate via the Tizi-n-Tichka pass, continuation to reach the kasbah of Telouet (ancestral home of Pacha Glaoui). After lunch continuation by the track along the valley of Ounila and the Berber villages In continuation we continue, the small road to join the kasbah of Tamdakhte and that of Ait Ben Haddou. 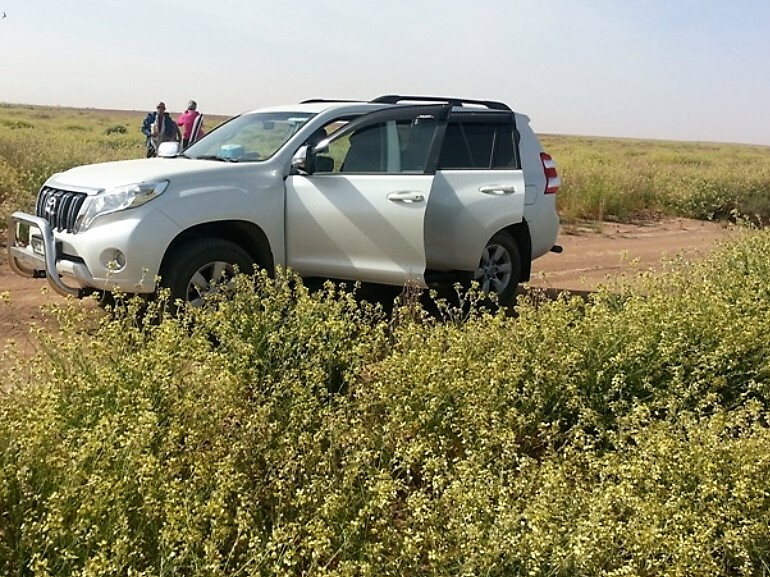 Photo stops will be made as well as the visit of the Ksar classified as a UNESCO heritage by walking through the sloping streets before returning to Ouarzazate city cinema. 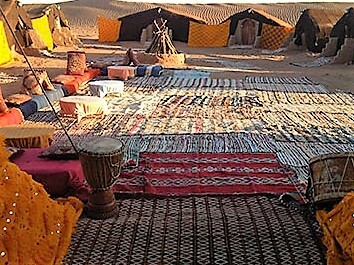 arrival at your hotel in the afternoon dinner and overnight in a riad or hotel. Departure from OUARZAZATE towards the desert while going down the valley of the DRAA. Palm grove landscape in which are hiding allotment gardens and charming small villages that cross through taking a few km of track. 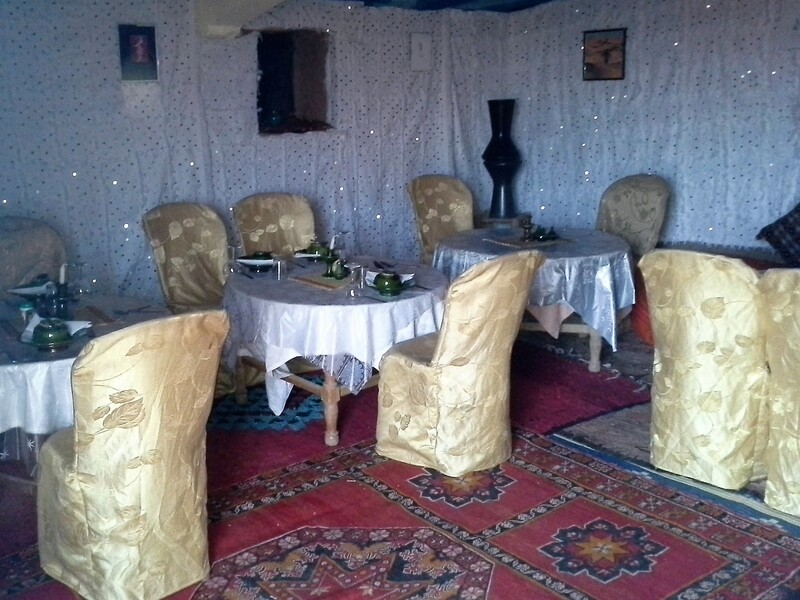 Lunch in a typical inn, then drive to ZAGORA. Visit workshops and pottery ovens TAMGROUTE, possibility also to visit the Koranic library, for lovers of ancient manuscripts. The road to M'hamid crosses already desert landscapes. The arrival in M'hamid late afternoon, allows to settle in our bivouac fixed 2km from the village in the middle of the dunes and watch the sunset. Evening meal, evening bivouac atmosphere and night under the tent. Stop at the sacred oasis. 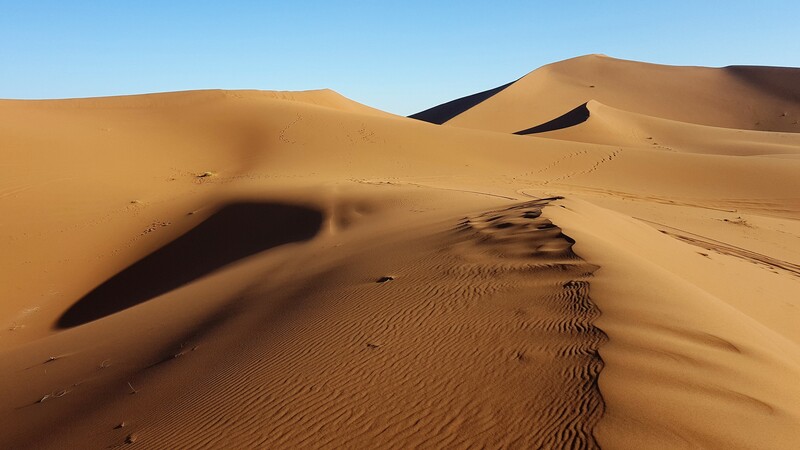 For arrival at the bivouac of Chegaga lunch and, Camel ride 1h , in the afternoon you can climb the highest dune and watch the sunset on the dune waves as far as the eye can see. Dinner and night in bivouac comfort with animation at the fire towers. Departure for Marrakech at 9am by the track between Erg de Chegaga and the dry bed of Drâa, passing by Lake Iriqui, then by Foum Zguid and continuation by road via Taznakht. lunch Then drive to Marrakech, photo stops will be made during the day between Taznakht and Marrakech before arriving at the hotel.